difference between a general dental care provider and an orthodontist. First of all, it is important to note that both dentists and orthodontists are tasked with dealing with a range of tooth and teeth related issues in patients. They are both doctors and can both help patients enjoy better oral health and dental functionality. While a dental care provider will offer a full range of services such as teeth cleaning and filling cavities, and orthodontist typically offers more specialized services. For example, a dentist must complete medical school in addition to postgraduate level dental training. 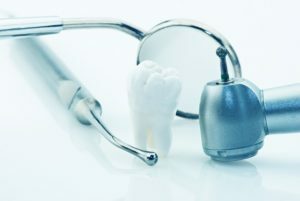 Focusing primarily on the problems associated with teeth and the gums, dentists are doctors with years of experience and educational background. They routinely work with patients to address a host of dental problems including gum disease, tooth decay and remedies for these and other dental issues. These remedies may include dental crowns, root canal therapy, or even dental implants. They routinely help patients to understand how to practice good oral hygiene and will usually recommend that patients have their teeth cleaned at least twice each year. An orthodontist is a dentist who completes all of the standard requirements of becoming a dental doctor while also going on to complete two additional years of a residency program in orthodontics. This additional training and experience is required so that an orthodontist may deal with more serious dental health related problems and issues like jaw alignment as well as proper tooth alignment. They frequently deal with correcting tooth and jaw alignment through the use of braces and other devices. In most cases a general dentistry care provider will recommend that a patient visit an orthodontist because he or she believes that the patient may be best served by having braces. An orthodontist will check for alignment problems by taking measurements and producing images and scans of the patient’s jaw and teeth. Ultimately, patients are fitted with the most suitable type of braces needed to correct the problem and ultimately straighten teeth with the intent of producing a beautiful smile. In addition to braces, an orthodontist may recommend various forms of treatment as a way to correct mis-alignments in the jaw or teeth. Orthodontists are well versed in the complexities of how the jaw and teeth develop and move over time. They specialize in something known as malocclusion or deficiencies in an individual’s bite. 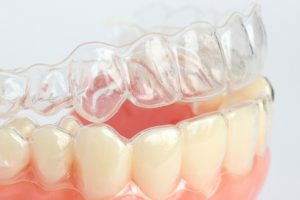 Issues often encountered by orthodontic professionals include patients with cross bites, crowded teeth, over bites and under bites as well as improperly spaced teeth. In short, an orthodontist is a dentist who pays particular attention to the alignment of teeth as away to promote better dental health. Both dentists and orthodontists focus on oral care and are equally considered dentists. It should also be noted that all orthodontists are dentists while not all dentists are orthodontists. Talk with your San Jose Orthodontist, Dr. Zadeh to learn more about orthodontic care and the many benefits that this type of treatment offers. 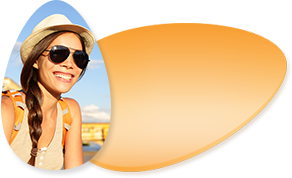 For scheduling an appointment with our San Jose dental office, please call us today.